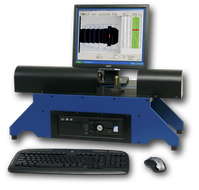 Our premier optical profile inspection system that combines accuracy and precision with a fast, easy to use operator interface. Complete Turn-Key Package – Ready to Run! Take a closer look inside the OASIS to learn how it can save you time, money, and resources as we bring true Automated Precision to your Quality Control Department.